Got this awesome pic of Penelope from Pembroke W. Corgi. Check out his DA page at http://pembroke.deviantart.com/ and keep a look out for the new comic project he’s working on. I’ll update the art page here on AntiBunny with this pic later. Today I want to recommend a comic to my readers. Save State follows a brother and sister duo of gamers, but quickly evolves beyond being two gamers on a couch when they move into a haunted house, meet their new housemate a god of death…who happens to be a bunny, and are stalked by a killer R.O.B. Take a look at http://www.savestatecomic.com. 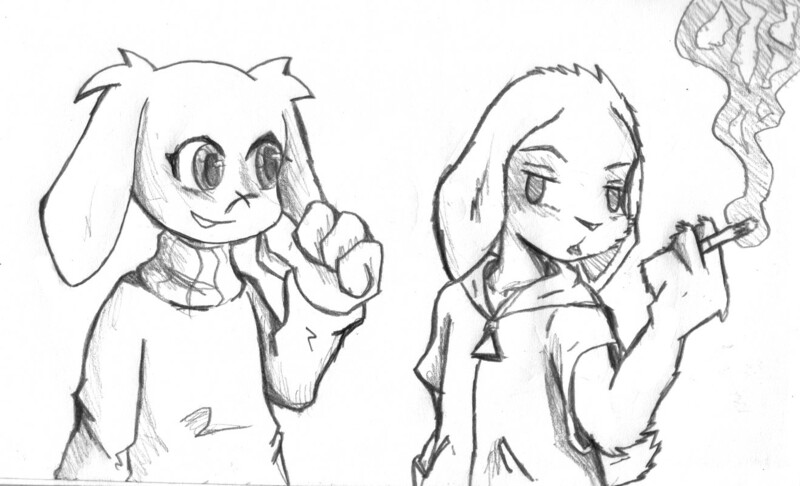 Have some Cave Story sketches. Don’t know what Cave Story is? Cave Story is an awesome indie game. In fact some would call it the godfather of indie gaming, to which the current bountiful indie game scene owes its existence. 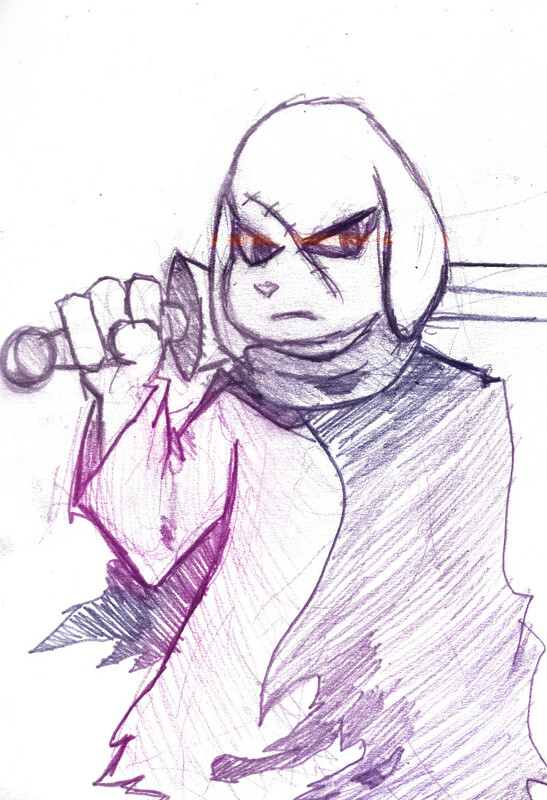 The product of one man’s work over a period of 5 years, released on damn near everything, and the original is still free at http://cavestory.org or you can get enhanced versions on Steam, 3DS, Wii, and WiiU among other things. It’s a game about robots, bunnies, mad science, and magic. Now on with the arts.